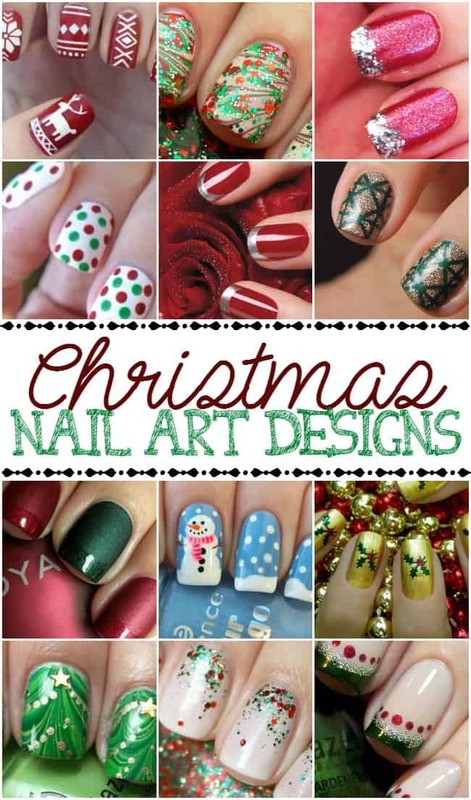 I know my readers are crazy about nails and nail designs so of course I am back this month with a round up of my favorite Christmas nail art designs. I will be honest and tell you that I could not fit all of my favorite ones into this round up. There are so so so many cute Christmas nail designs out there. Be sure to check out my Nails Nails Nails pinterest board because I will be adding ones I love all throughout this month. I tried to do a mixture this time of nails that are simple and a few that are more Christmas cutesy. I think the french tip style ones would be perfect for a quick and easy design for those of you who want to keep it classic. If you want to go bold and stand out then how about that super cute snowman. Isn’t he adorable? Which Christmas nail art are you loving?